The Expert Advisor uses mathematical strategies without any indicators. The first deal is opened when the price touches or breaks the level of the price channel. The price channel is drawn at the n distance from the price and modified according to the timer in seconds. If the price does not touch the upper or lower channel level or cross it over a given period of time, no trade is opened and the price channel is modified. Recommended minimum deposit - 1000 USD. Use the EA on a VPS server with low latency. Order Filling Type—order fill policy. Any chance we can get mt4 version? Hallo, dieser EA ist richtig gut! Benötigt jedoch viel Zein und Geduld(!!! ), die richtigen Parameter zu finden. I purchased this EA and till now I'm satisfied with the profit. 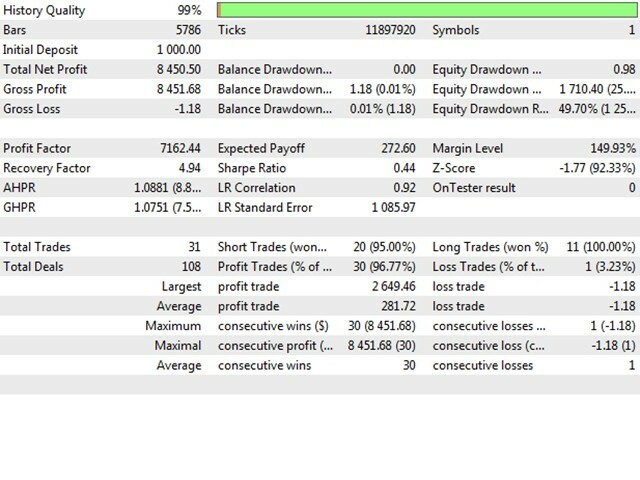 Before I purchased another EA (RSI-Scalper) but didn't gave me profit enough. and one chart of EUR/USD with RSI-Scalper). 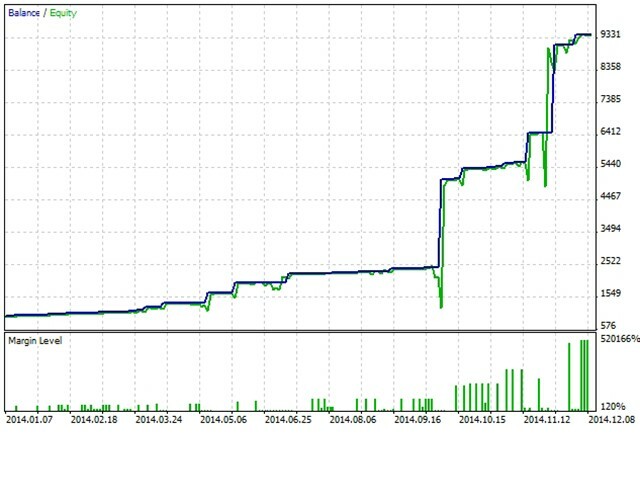 Strange but truth...after 3 days already a profit of €790.